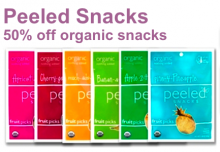 $40 Peeled Snacks Voucher For As Low As $10! Gaggle of Chicks has the Peeled Snacks deal back on their site today, and it’s even better this time around. Gaggle of Chicks will be offering FREE shipping if you grab this deal before midnight EST on May 3rd! If you are new to Gaggle Of Chicks, new sign ups get a $10 credit to Gaggle of Chicks, You can use this credit and get this deal for only $10, plus free shipping! Your credit will show up when you make your purchase. If you’ve already signed up and have been using Gaggle of Chicks for a while, like me, you can still get this great deal for $20 (50% off). Head over to Gaggle of Chicks to get this great deal. Don’t miss out on future deals, sign up now. Gaggle of Chicks has a great deal going on right now. You can get a $25 gift certificate to LetsGoGreen.biz of only $10! I just ordered two Camelback water bottles, one for myself and one for my husband. The colors are awesome and the bottles are BPA free! They have other great items like compostable coffee cups, plastic trash bags, forks, knives, spoons, and food containers. Other hits include natural cleaning products, CFL (compact fluorescent lamp) lightbulbs, recycled computer paper, and more. 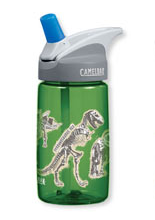 They also have Camelback water bottles for kids! Shipping is NOT included in this deal. If you’re new to Gaggle of Chicks you’ll get a $10 credit in your account just for signing up. You can use this $10 towards today’s deal making this FREE for you. Daily deals Mar 1, 2011 in GaggleOfChicks · Expired!